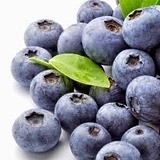 Athletes may perform better if they incorporate salmon, green tea, onions, blueberries and dark grape juice into their diet. This is what Japanese researchers, affiliated with Kyoto Prefectural University, report in the Journal of Clinical Biochemistry and Nutrition. According to the Japanese, phytochemicals in these foods improve metabolism. These substances increase the capacity of the body to burn carbohydrates. The Japanese divided 20 untrained male students into 2 groups. During 4 weeks and 3 times a week, both groups went cycling for half an hour with an intensity of 60 percent of the maximum oxygen intake. That meant that they could just have a conversation. The students in one group didn't change their diet, while the other group received food from the researchers with natural antioxidants, such as salmon (contains 3 milligrams of astaxanthin per ounce), ready-to-use green tea (contains 800 milligrams of catechins per liter), onions (contains 400 milligram quercetin per kilo) and blueberries and dark grape juice (contains respectively 1500 and 210 milligrams of anthocyanins per kilo/liter). The table below shows that the addition of the foods significantly increased the intake of astaxanthin, quercetin catechins and anthocyanins. Before and after the 4-week period, the researchers let the men cycle. Every 2 minutes, the researchers raised the intensity of the exercise, until the studnets were exhausted. Shortly after the men had reached the point of failure, the researchers determined their oxygen and energy consumption. The subjects who had increased their intake of astaxanthin, catechins and anthocyanins did not perform significantly better than the subjects in the other group at the end of the trial. However, the supplementation had changed their metabolism: the men consumed more oxygen and burned more carbohydrates. That conversion should theoretically improve sports performance. "The present study showed that active intake of foods containing certain antioxidants induced carbohydrate oxidation after training", summarize the researchers. "Although endurance performance after training did not differ between participants in the antioxidant and control groups, a significant positive correlation between maximum workload and oxidation of lipids during exercise was observed in the antioxidant group only." "These results suggest that intake of dietary antioxidant-rich foods combined with exercise training could modulate nutrient aerobic metabolism during rest and exercise." "Further research is required to examine whether these findings can be generalized to the larger public." J Clin Biochem Nutr. 2019 Jan;64(1):79-85. Polish sports scientists drew this conclusion after performing a study in which 8 experienced male mountain bikers followed a low-carb ketogenic diet for four weeks. Sports scientists at the University of Alabama suggest that cocktails of chia and carbs work just as well as the carb-bombs produced by the sports drinks industry. A human study, involving eight cyclists and two triathletes, that Chinese researchers published in the Journal of the International Society of Sports Nutrition suggests this.